A year on from the shooting of a man in Newham, detectives from the Trident and Area Crime Command are offering a reward of up to £10,000. At around 22:30hrs on 21 January 2018, a man in his 20s was shot in the head whilst driving his car along Romford Road, E15. 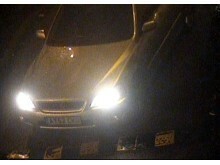 The suspects are believed to have driven to and from the area in a silver Lexus, with a possible index of AY52 CKD. Officers believe the suspects got out of the car, shot the victim and then fled the scene in the vehicle. As a result of the incident the victim suffered life-changing head injuries. Detective Inspector Simon Smith, from Trident, who leads the investigation said: "As the investigation into this shooting has progressed, two men have been arrested. However my officers continue to piece together the circumstances surrounding the shooting. I know that there are witnesses to the incident who have yet to come forward. 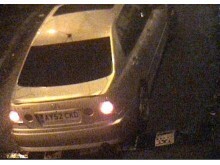 "I would appeal to anyone who remembers seeing this car in the Vicarage Lane and Romford Road areas on the evening of Sunday, 21 January last year, or knows where the vehicle is now, to contact us. "I would urge you to contact me, anonymously if necessary, and tell me what you know. Your information - no matter how insignificant you think it may be - could help take a dangerous criminal off the street and you may be eligible for a reward." A reward of up to £10,000 is being offered by police for information that leads to the identification, arrest and prosecution of the person(s) responsible for the incident. Anyone who witnessed the shooting or has any information is asked to contact the incident room on 020 7230 9737 or via Twitter @MetCC. Alternatively, they can contact the independent charity Crimestoppers anonymously on 0800 555 111. The two people have been arrested in connection with the investigation. A 19-year-old man [A] and a 20-year-old man [B] were both arrested on suspicion of attempted murder. They were released under investigation.